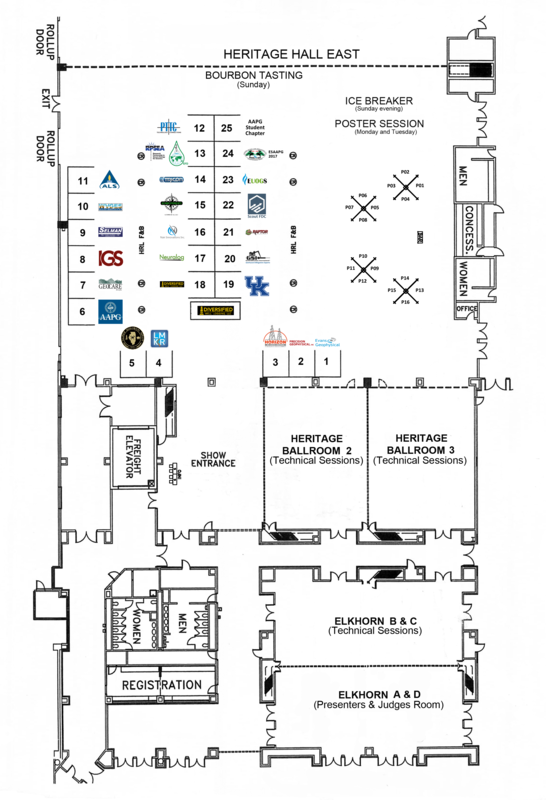 We welcome organizations and individuals that are interested in SPONSORSHIP and/or EXHIBITING for the September 2016 annual meeting of the Eastern Section American Association of Petroleum Geologists in Lexington, Kentucky. If you are interested, please contact Dan Wells or Mike Sanders. We would like to thank the following exhibitors for their support of the 2016 Eastern Section AAPG Annual Meeting. Please take a moment to stop by their booths and thank them for helping to make this a great meeting! Â© All rights reserved | Kentucky Geological Survey. Contact the Webmaster for questions and comments.